See Module 2 Opt In Page of this product. Additional pages: confirm-email, disclaimer, privacy, terms, thank-you-page. 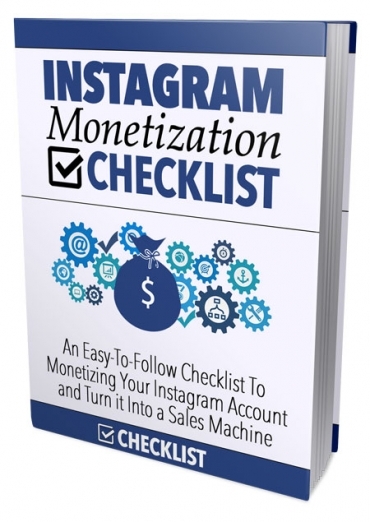 Discover How To Monetize Your Instagram Account And Turn It Into A Sales Machine! Far and away one of the most frequently visited and often utilized social media platforms, even more so than Facebook, Instagram has become the “go to” platform for serious business owners, advertisers, and marketers that are looking to build their business online. And even though Instagram is 100% free to get started with – and you can have a brand-new Instagram account up and running in less than five minutes. The truth of the matter is the overwhelming majority of business owners, advertisers, and marketers out there aren’t using Instagram the right way to build their business or create the kind of financial future they have always dreamed of. No, if you are going to knock your Instagram marketing right out of the park and really turn it into a powerful channel for marketing you have to know exactly what you’re doing. On top of that, because you’re going up against already stiff and established competition, you also have to take advantage of as many shortcuts checklists as possible to get you to the top as fast as you can.